Buckeyes share a special bond, and when we see a Buckeye in distress — because of natural disasters or other unforeseen circumstances — we rush to help. Here’s how to help your fellow alumni during the times they need it most. Extreme weather, accidents or other unanticipated financial hardships can disrupt our best-laid plans. It’s hard to ask for help, but sometimes we really need it. Last year, as the Carolinas braced for Hurricane Florence to make landfall, Ohio State alumni began to do something extraordinary. They offered to take in other Buckeyes who might be affected. It wasn’t the first time Buckeyes had offered to help — whether through giving or volunteering, Ohio State alumni are a generous group — but it gave the alumni association an idea. “Watching our alums jump into action was truly inspiring. 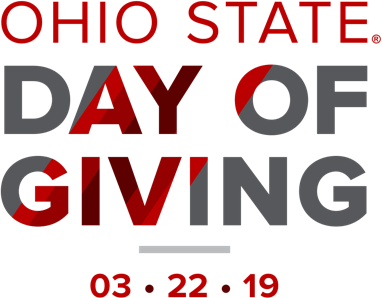 We were moved by their spirit to find other ways to pay forward for Buckeyes in need,” said alumni association President and CEO Jim Smith. Buckeyes share a special bond — and when we see a Buckeye in distress, we rush to help. Please give to lift up your fellow alumni during the times they need it most. Supports construction and maintenance of biking and walking trails on the Ohio State Marion campus. Supports efforts of community outreach and engagement to effect social change/neighborhood transformation among underserved populations.